At the Santa Barbara Plastic Surgery Center, our focus is to give you breast augmentation results that look beautiful, and natural. Dr. Wesley Schooler custom-tailors all of our breast augmentation and enhancement procedures to each patient, thoroughly discussing your goals and giving you options to determine the outcome that will meet your expectations. Board certification is the gold standard of quality and safety in plastic surgery. To achieve optimal results in breast augmentation, a plastic surgeon requires extensive training, exceptional skill, and an artistic eye. Dr. Schooler is certified by the American Board of Plastic Surgery and have abundant experience performing this procedure. He will listen attentively to your concerns, evaluate your anatomical needs, and develop a personalized treatment plan tailored to your desired outcome. 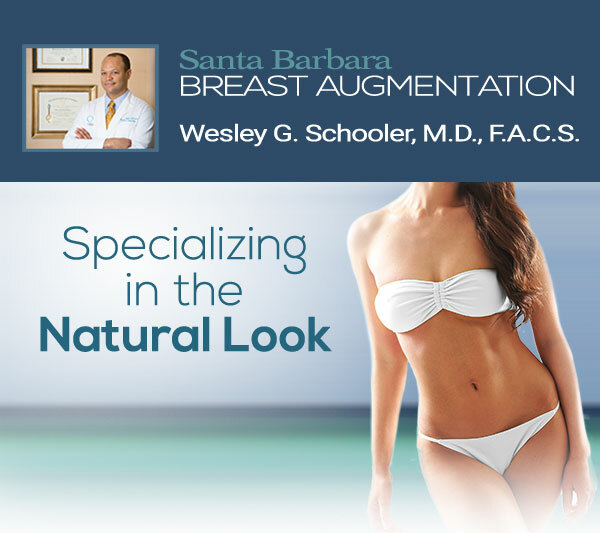 Those who are considering breast enlargement with implants, but are unsure of the size that may best fit their goals and their individual body frame, can learn what may be the best option for them from our Santa Barbara plastic surgeon. Dr. Schooler can show you a variety of breast implant sizes, shapes, and types to help you determine which is the best option for you. The FDA recently approved the use of a new silicone-gel breast implant for breast augmentation procedures. Dr. Schooler can provide you with information about the differences between silicone-gel and saline implants, and which may be the best choice for you. 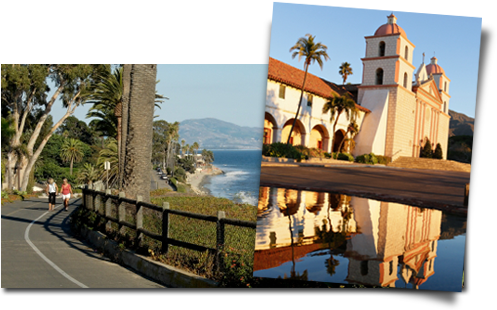 Santa Barbara is truly one of the most beautiful cities in California, and perhaps in the entire country. Surrounded by lush beaches, filled with unique shops and restaurants, and encompassing a wide variety of places to see and things to do, Santa Barbara is an oasis that seems built for relaxation and comfort. The Santa Barbara Plastic Surgery Center welcomes patients from surrounding communities such as Ventura and Oxnard, Lompoc and San Luis Obispo, Bakersfield, and those from across the state and around the world. We have special arrangements with local hotels that can meet a range of budgetary needs, and our beautiful city is a great spot to relax before and after having cosmetic surgery.